Asahi Shashin Kōgyō K.K. (旭日冩眞工業㈱) was a Japanese film maker in the 1930s. 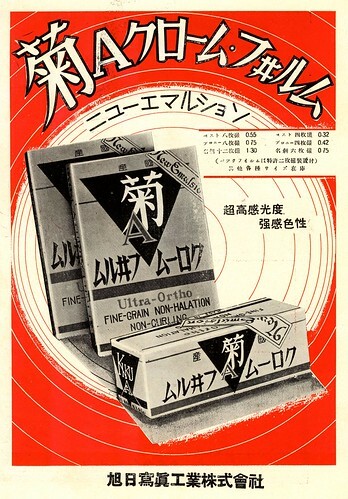 It used the ASK and Kiku brands, among others. 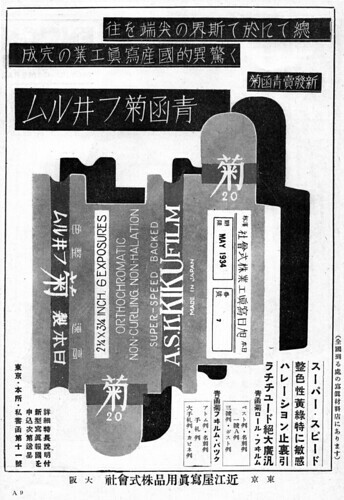 Advertisements for ASK Kiku film in Asahi Camera June 1932, by Ōmiya (left) and by the company itself (right). 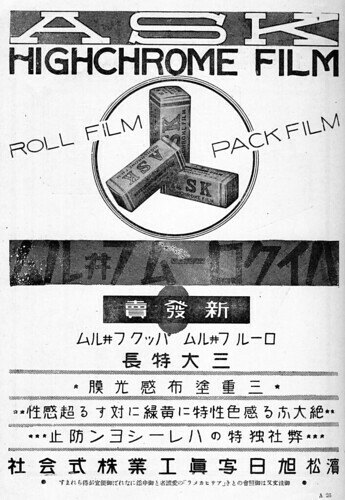 Advertisement for Kiku A film in Camera Club December 1937. Asahi Camera. 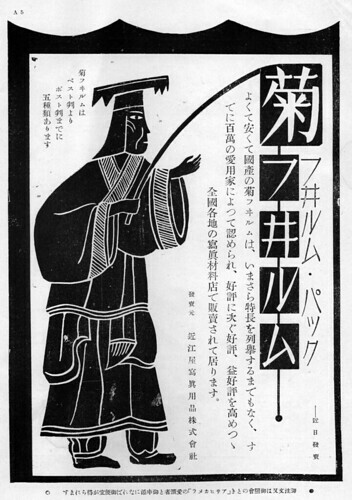 Advertisement by Asahi Shashin Kōgyō in June 1932, p.A26. Camera Club. 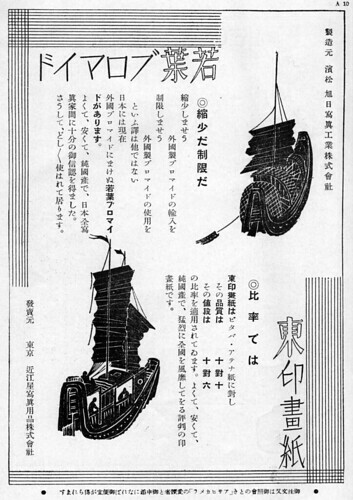 Advertisement by Asahi Shashin Kōgyō in December 1937, between pp.32 and 33. This page was last edited on 1 January 2019, at 19:17.